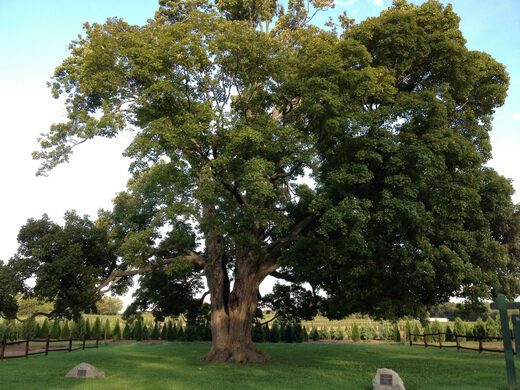 Canada's oldest sugar maple has been growing since around 1500. 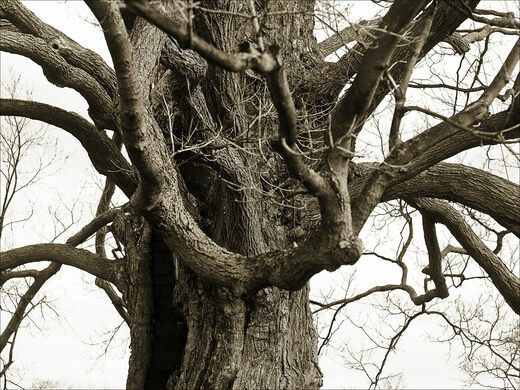 Standing at approximately 100 feet tall and measuring 20 feet around its trunk, the Comfort Maple is believed to be Canada’s oldest sugar maple tree. It is around 500 years old. 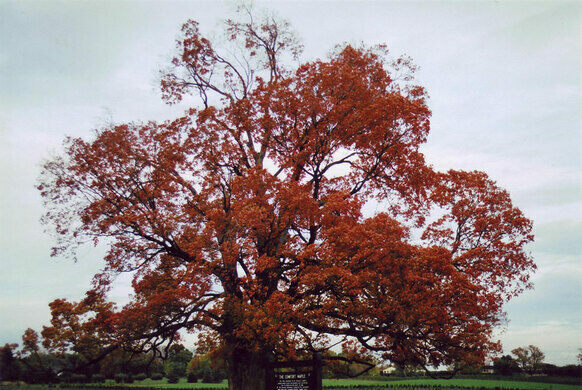 The Ontario Forestry Association believes the tree could be as old as 541, but this is an approximation as the maple’s rings have never been counted. 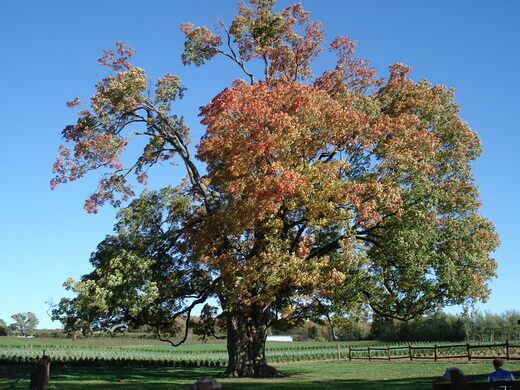 Its impressive dimensions are indisputable though, and it is certainly the largest sugar maple in Canada. The tree is named for the Comfort family, who owned the land for 145 years before donating it to the a Niagara conservation organization in 1961. It has since become a symbol of Canadian heritage. 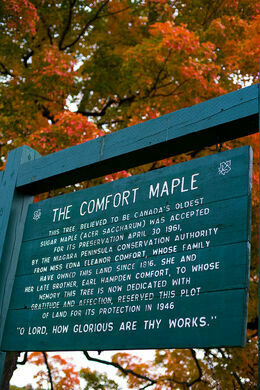 The Comfort Maple has experienced its share of hardship in its half a millennium. It has been struck by lightning at least once, and it was recently found to be afflicted with rot. Wounds in its trunk have been filled in with bricks and cement in some places, and wires have been rigged to help hold up its ancient branches. Its believed that the tree is nearing the end of its life. 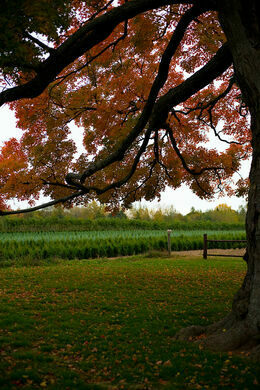 Yet year after year the maple continues to display the brilliant red autumn foliage iconic to its species. This is a popular time of year to photograph and picnic under the maple, but if you’re unable to visit you can still own a piece of the Comfort Maple. Fallen branches have been made into pens, including a special edition “Canada’s 150th Anniversary” pen, available for purchase at $75 apiece. The conservation area is located at the end of a narrow lane off Metler Road. (Niagara Regional Rd. 28) near North Pelham. There is only a small sign on the south side of the road so pay attention. Defying all odds, this lonely little tree found a home on a log sticking out of a Canadian lake.